After the latest International Test Match Series against the West Indies, England proved it could rise like a phoenix from the ashes to steal the show, winning the third game by nine wickets. Yet, despite losing the first day, the Windies showed their strength on the second with a five-wicket win that put England on notice. 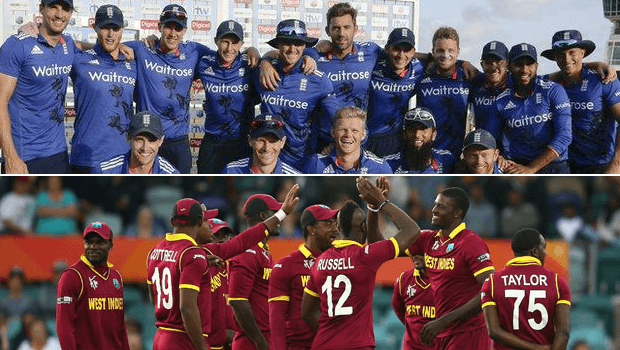 Continuing with the West Indies' tour of the UK, the two teams are set to clash in a series of One Day Internationals (ODIs). Based on the back-and-forth results throughout the tour, let’s have a look at what the best bets from the top cricket bookmakers might be for the latest cricket clash in the 1st One Day International! Sports bookmaker William Hill has pegged England as the favourite, offering odds of 2/5. This is despite the recent loss against the West Indies in the Twenty20 Match, where the visitors won by 21 runs. Factors that could have affected the loss were the resting of players before the ODI, as well as England’s strong performance. Prior to the Twenty20, England triumphed over the West Indies at the Wisden Trophy at the start of September, winning by nine wickets in the 3rd Test and running away with the 1st Test with an inning and 209 runs. The 2nd Test didn't go so well though, with the West Indies winning by five wickets. Following the win/lose pattern, the bookmaker is confident that England will triumph now that the heat is on. With the West Indies attracting odds of 19/10, a win for them could be rewarding for punters willing to back the underdog. Out of the two teams, England has the highest opening partnership, with Jason Roy and Alex having scored a mighty 256 runs against Sri Lanka last year. William Hill is giving the home team odds of 4/6 that something like this will be repeated when England take on the West Indies in the ODIs. The highest the West Indies have scored in the opening wicket was 200 runs back in 1997. Gayle and Samuels managed a 372-run second wicket in 2015 against Zimbabwe, so they can't be ruled out, with slightly longer odds of 11/10. If there was an unlikely tie with both teams scoring the same, then William Hill is offering 20/1. Top of the list for England is their captain, Joe Root. In the last ODI against Pakistan in June, he performed well with 46 runs before being put out by Shadab Khan. While he did not bring home a victory, Root gave his all. William Hill has him at 11/4 to come top of the team stats. One to keep an eye on for England is Ben Stokes, who was rested for the recent Twenty20 match against the West Indies, possibly due to the friction between him and Windies player Marlon Samuels. This rivalry might just give him the motivation to win. He has a history of batting higher in ODIs, so William Hill is offering 6/1. Stokes rival Marlon Samuels is currently on slightly better odds at William Hill with 9/2. But it was teammates Chris Gayle and Evin Lewis who smashed their runs against England to win the recent Twenty20 match. The odds between the pair are quite tight, with Gayle slightly ahead on 3/1, while Lewis is on 10/3. Bear in mind, Gayle is used to the faster style of Twenty20s and could be your best bet. In their recent Twenty20 clash, neither team looked as strong bowling as when they were batting, so it could come down to who wins the toss. William Hill is offering 10/11 for both. Young Englishman Tom Curran is relatively new to international games, but in his introduction against South Africa he managed to smash a wicket. Curran did this on only his second ball then went on to claim four more during the next two games. William Hill is giving him odds of 7/2 along with Liam Plunkett, Jake Ball and David Willey. It's Adil Rashid who's top choice though, with the leg spinner attracting slightly better odds of 10/3 due to a great performance against the West Indies. The Windies have struggled to find a bowler that can escape the shadow of former greats like Brian Lara and Curtly Ambrose, with the latter having stated they would struggle to compete with England. Devendra Bishoo and Jerome Taylor lead the West Indies bowlers, with William Hill offering them both the same as Rashid at 10/3. Bishoo is the only player in the West Indies team over 30, so his experience and leg break bowling technique may give him the advantage. A long shot would be Marlon Samuels, who's sitting at 16/1. If you think you can wager on the wickets and pick the winner between these two international teams, why not visit William Hill today and checkout their extensive cricket betting markets? If you join now and bet just £10, the topnotch bookmaker will reward you with £30 in free bets against all ODI odds so don't miss out!